When we set out to create the best car-buying experience possible, we consulted the experts. You, the customer! Through the J.D. Power & Friedman-Swift surveys, we learned that 68% of the buying public dislike: the time it takes to get to the bottom line, the hassle, the pressure, and the inflated prices. Thus was born our PERFECT PRICE POLICY. To find out more, just watch our video! And be sure to check out our Perfect Price Rewards as well! 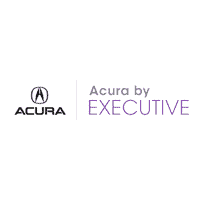 *Exchange Policy: Customers who purchase a vehicle from Acura By Executive have three days or 300 miles to EXCHANGE their vehicle for one that might better suit their needs. Replacement vehicle will be sold at advertised “Best Price First” and must be taken from dealer stock. Taxes and fees will be assessed separately for each transaction. Client will be charged for excess use or damage during the three day period. Please contact dealer for details. *110% Low Price Guarantee: Customer must take physical delivery of a new vehicle to qualify. If customer can supply a signed purchase order on an identical vehicle including but not limited to color, equipment, miles and year, Acura By Executive will credit the customer 110% of the difference. New vehicles only. *Value offering $1275 for lease vehicles.